Thanks very much for the clipping. 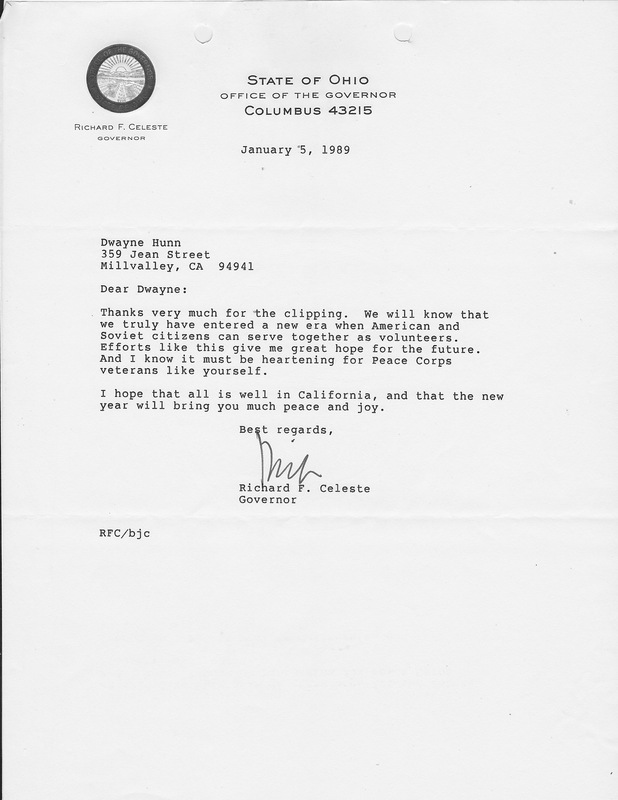 We will know we truly have entered a new era when American and Soviet citizens can serve together as volunteers. Efforts like this give me great hope for the future. And I know it must be heartening for Peace Corps veterans like yourself. I hope that all is well in California, and that the new year will bring you much peace and joy. 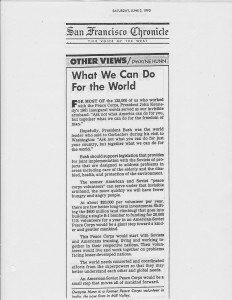 Bush should support legislation that provides for joint implementation with the Soviets of pro­jects that are designed to address problems In areas including care of the elderly and the disa­bled, health, and protection of the environment. The sooner American and Soviet “peace corps volunteers” can serve under that invisible armband, the more quickly we will have fewer hungry and angry people. At about $20,000 per volunteer per year, there are few better long-term investments. 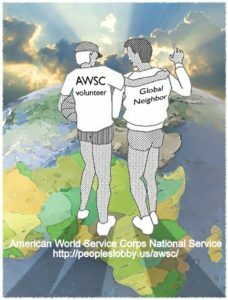 Shift­ing the $400 million (and climbing) that goes into building a single B-1 bomber to funding for 20,000 U.S. volunteers for a year In an American-Soviet Peace Corps would be a giant step toward a kind­er and gentler mankind. This Peace Corps would start with Soviets and Americans training, living and working to­gether in their respective nations. Then volun­teers would live and work together on problems facing lesser-developed nations. The world needs concerted and coordinated efforts from the superpowers so that they may better understand each other and global needs. 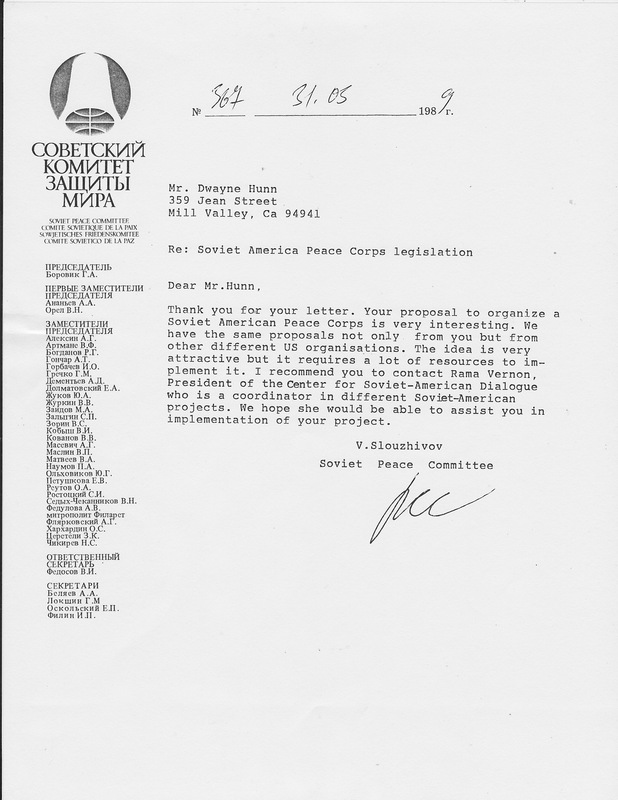 An American-Soviet Peace Corps would be a small step that moves all of mankind forward. 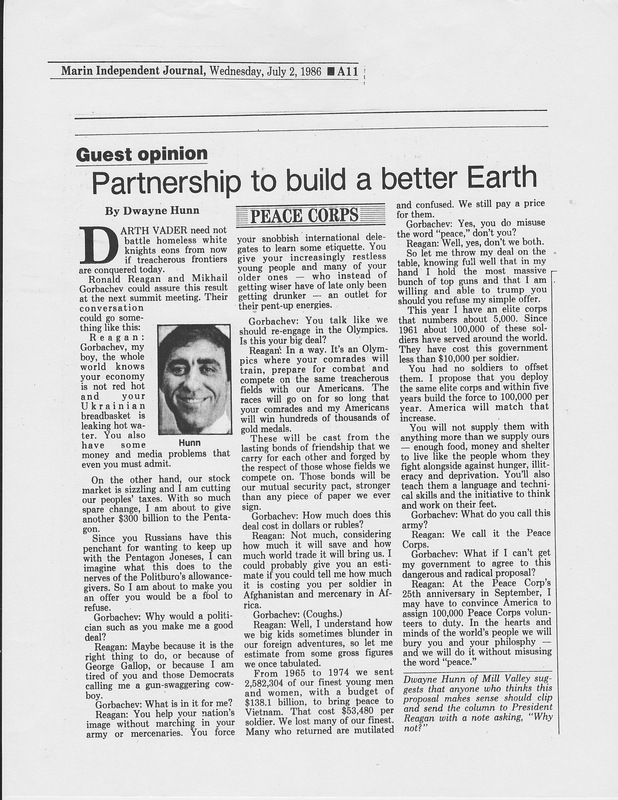 Dwayne Hunn is a former Peace Corps volunteer in India. He now lives in Mill Valley. Gorbachev we miss ya…? But push Putin to do the right thing anyway. 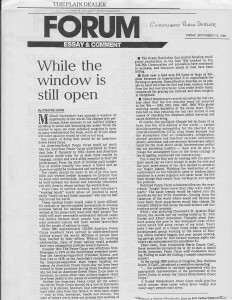 Gorbachev has opened a window of opportunity to the world. His changes give all politicians fewer excuses to not redirect military spending to pressing social and humanitarian needs. 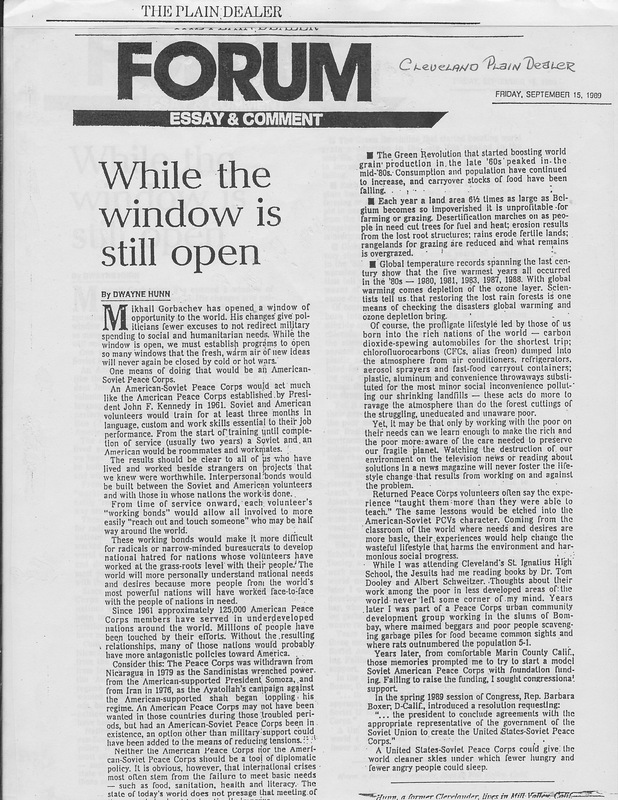 While the window of opportunity is open, we must establish programs that will open so many windows that the fresh, warm air of new ideas will never again be closed by cold or hot wars. One means of doing that is with an American-Soviet Peace Corps. 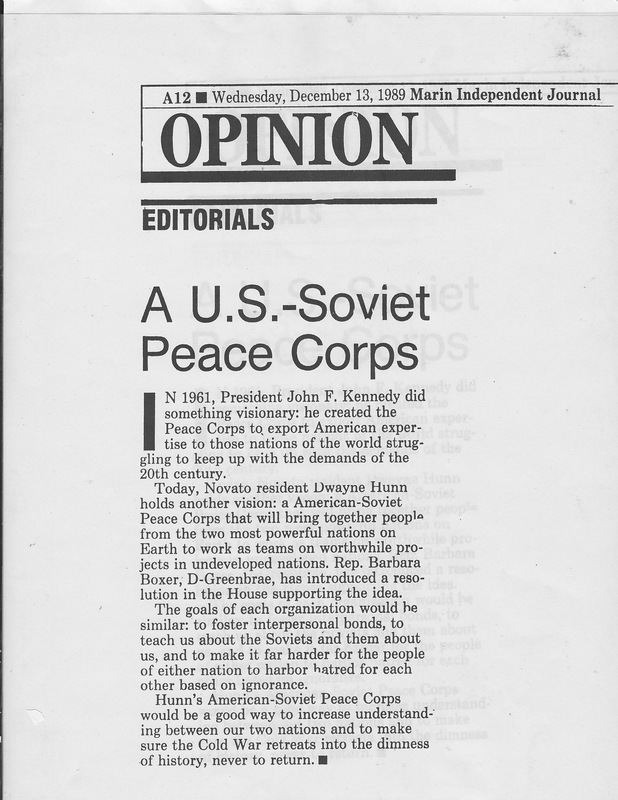 An American-Soviet Peace Corps would act much like the American Peace Corps established by President Kennedy in 1961. Soviet and American volunteers would train for at least three months in language, custom, and work skills essential to their job performance. From the start of training until completion of service (usually two years later) a Soviet and an American would be roommates and workmates. This small program difference from the American Peace Corps could make a world of difference. The results should be clear to all of us who have experienced living and working alongside strangers on projects that we knew were worthwhile endeavors. Interpersonal bonds will be built between the Soviet and American volunteers as well as with those in whose nations the work is done. From their time of service onward, each volunteer’s “working bonds” will allow all involved to more easily “reach out and touch someone” who may be half way around the world. The world will more quickly become a global village of friends. These working bonds will make it more difficult for radicals or narrow minded bureaucrats to develop national hatred for nations whose volunteers have worked at the grassroots level with their people. The world will more personally understand national needs and desires because more people from the world’s most powerful nations will have worked face-to-face with the people of nations in need. Since 1961 approximately 125,000 American Peace Corps have served in underdeveloped nations around the world. 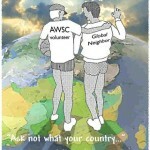 Millions of people in underdeveloped nations have been touched by the efforts of those volunteers. Without those efforts and resulting relationships, many of those nations would probably have more antagonistic policies toward America. Consider this. 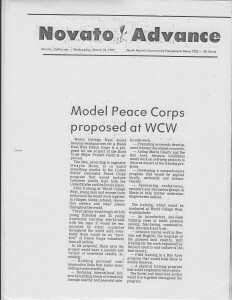 The Peace Corps was withdrawn from Nicaragua in 1979, as the Sandinistas wrenched power away from the American supported President Somoza; and from Iran in 1976, as the Ayatolla’s campaign against the American supported Shah began toppling the Shah’s regime. 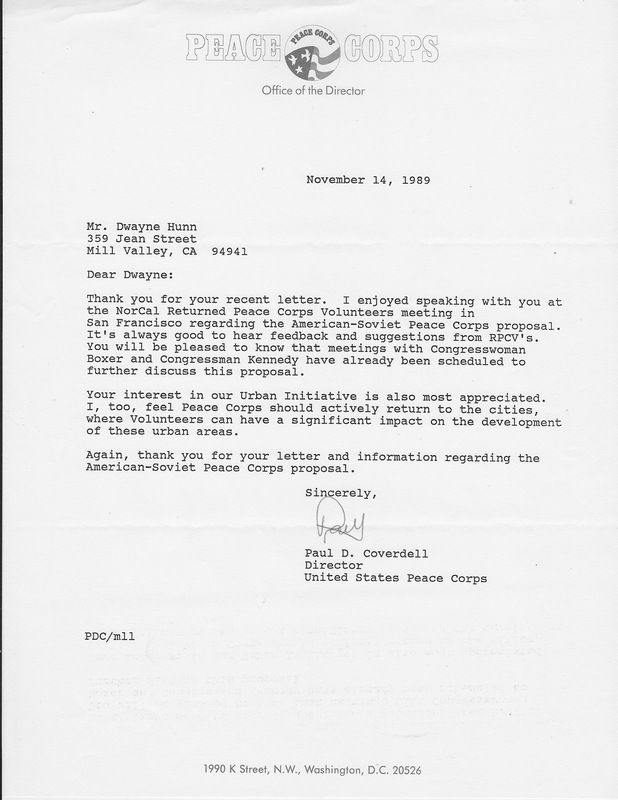 An American Peace Corps may not have been wanted in those countries during those troubled periods, but had an American-Soviet Peace Corps been in existence then, an option other than military support could have been added to the means of reducing tensions in those areas. 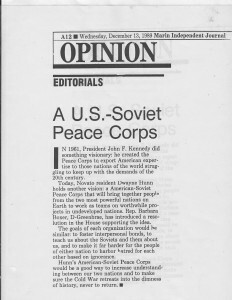 Neither the American Peace Corps nor the American-Soviet Peace Corps should be a tool of diplomatic policy. It is obvious, however, that international crisis most often stem from the failure to provide unmet basic needs — such as food, sanitation, health and literacy. The state of today’s world does not presage that delivery of those needs is about to drastically improve. The Green Revolution that started boosting world grain production in the late 60’s peaked in the mid-80’s. Consumption and population has continued to increase and carryover stocks of food have been falling. Each year land area 6.5 times as large as Belgium becomes so impoverished that they are unprofitable to farm or graze. Desertification marches on as people in need cut trees for fuel and heat; erosion results from the lost root structures; rains erode fertile lands; rangelands for grazing are reduced and what remains is overgrazed. Global temperature records spanning the last century show that the five warmest years have all occurred in the eighties – 1980,1981,1983,1987,1988. With global warming comes the depletion of the ozone Scientists tell us that restoring the lost rain forests is one of the means of checking the disasters global warming and ozone depletion bring. Of course, the profligate lifestyle lead by those of us born into the rich nations of the world — carbon dioxide spewing automobiles for the shortest trip; chlorofluorocarbons (CFCs, alias freon) dumped into the atmosphere from air conditioners, refrigerators, aerosol sprayers and fast food carryout containers; plastic, aluminum and convenience throwaways substituted for the most minor social inconvenience polluting our shrinking landfills; these acts do more to ravage the atmosphere than do the forest cuttings of the struggling, uneducated and unaware poor. Yet, it may be that only by working with the poor on their needs can we learn enough to make the rich and the poor more aware of the care needed to preserve our fragile planet. Watching the destruction of our environment on the television news or reading about solutions in a newsmagazine will never foster the lifestyle change that results from working on and against the problem. Returned Peace Corps volunteers often say that the Peace Corps experience “taught them more than they were able to teach.” The same lessons would be etched into the American-Soviet PCVs character. Coming from the classroom of the world where needs and desires are more basic, their experiences would help change the wasteful lifestyle that harms the environment and harmonious social progress. While attending Cleveland’s St. Ignatius High School, the Jesuits had me reading books by Dr. Tom Dooley and Albert Schweitzer. 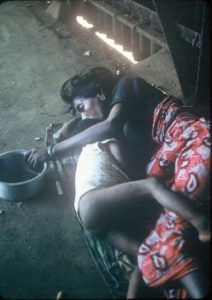 Thoughts about the authors’ work among the poor in less developed areas of the world never left some corner of my mind. Years later I was part of a Peace Corps Urban Community Development Group working in the slums of Bombay where maimed beggars, poor people scavenging garbage piles for food became common sights and where rats outnumbered the population 5-1. 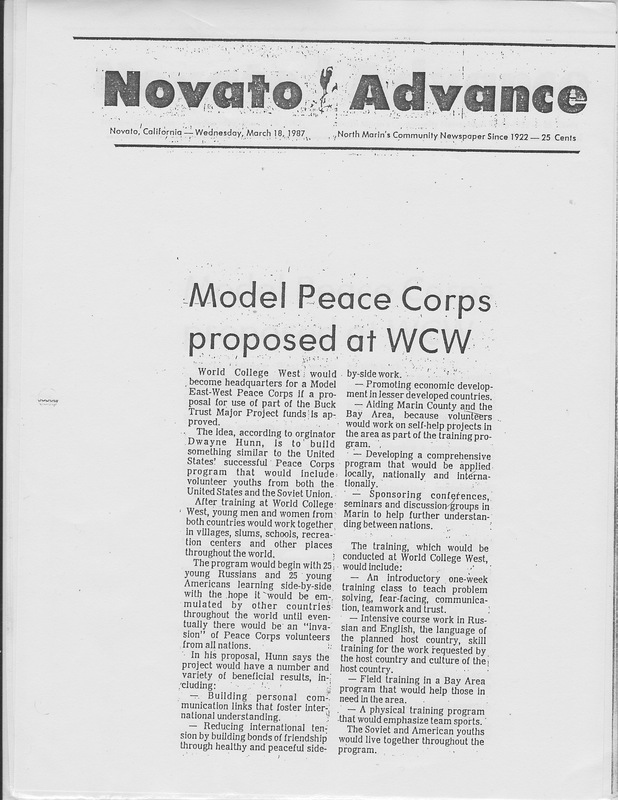 Years later, from comfortable Marin County California, those memories prompted me to try to start a model Soviet American Peace Corps with foundation funding. Failing to raise the needed funding, I sought Congressional support. 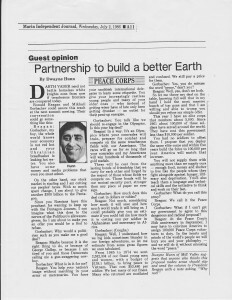 A United States-Soviet Peace Corps could give the world cleaner skies under which fewer hungry and fewer angry people could sleep. Soviet Peace Committee among many groups who supported ASPC. 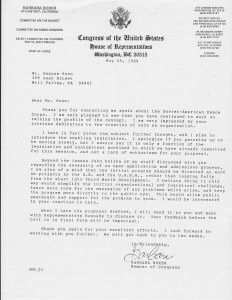 In 1988 Congresswoman Boxer took the American Soviet Peace Corps proposal, which started as a model program competing for a Buck Trust grant, and introduced it into Congress as HR 1807. 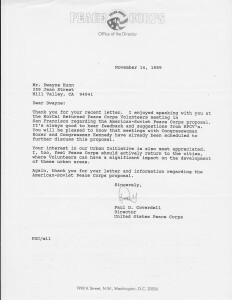 Have you asked her to do it again this year for America’s World Service Corps Congressional Proposal, giving us the army the 21st century needs? Boxer introduces. To start in each nation. 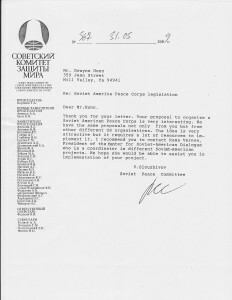 Thank you for contacting me again about the Soviet-American Peace Corps. I am very pleased to see that you have continued to work on raising the profile of the concept. I am very impressed by your tireless dedication to the creation of such an organization. I have in fact given the subject further thought, and I plan to introduce the enabling legislation. I apologize if you perceive us to be moving slowly, but I assure you it is only a function of the legislation and concomitant workload to which we have already committed for this session, and not a lack of enthusiasm for your proposal. Beyond the issues John Callon of my staff discussed with you regarding the necessity of an open application and admissions process, I am also of a mind that the initial program should be directed at work on projects in the U.S. and the U.S.S.R., rather than leaping fully from the start into Third World development. 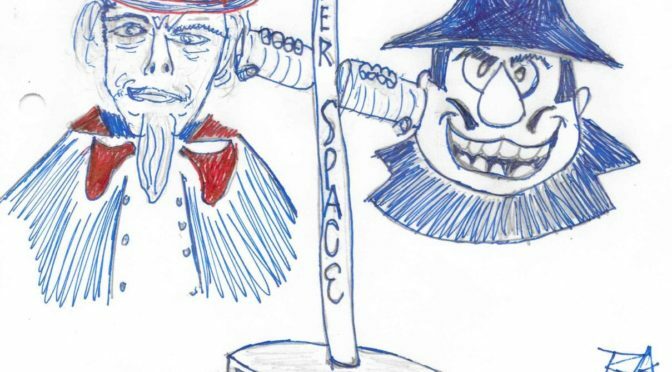 I believe doing it this way would simplify the initial organizational and logistical challenge, leave more room for the massaging of any problems which arise, and keep the program more directly in the public eye. This would allow public awareness and support for the program to grow. I would be interested in your reaction to this. When I have the proposal drafted, I will send it to you and meet with Representative Kennedy to discuss it. Your feedback before the bill is in final form will be important. Thank you again for your excellent efforts. I look forward to working with you further. We will get back to you in two weeks. Then we need leadership that challenges the Russians to do the same. President Reagan is the only leader that could do this today. When strong players partner-up, do good teams grow from them? DARTH VADER need not battle homeless white knights eons from now if treacherous frontiers are conquered today. On the other hand, our stock market is sizzling and I am cutting our peoples’ taxes. With so much spare change, I am about to give another $300 billion to the Pentagon. 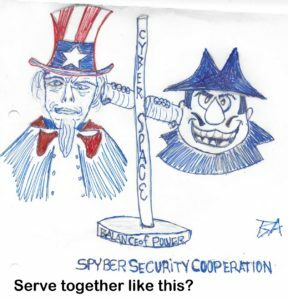 Since you Russians have this penchant for wanting to keep up with the Pentagon Jones. I can imagine what this does to the nerves of the Politburo’s allowance-givers. So I am about to make you an offer you would be a fool to refuse. Gorbachev: Why would a politician such as you make me a good deal? Reagan: Maybe because it is the right thing to do, or because I am tired of you and those Democrats calling me a gun-swaggering cowboy. Gorbachev: What is in it for me? 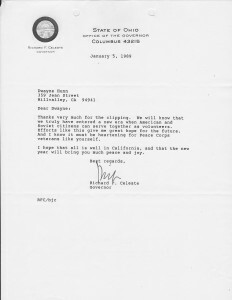 Reagan: You help your nation’s image without marching in your army or mercenaries. You force your snobbish international delegates to learn some etiquette. You give your increasingly restless young people and many of your older ones – who instead of getting wiser have of late only been getting drunker – an outlet for their pent-up energies. Gorbachev: You talk like we should re-engage in the Olympics. Is this your big deal? comrades and my Americans will win hundreds of thousands of gold medals. These will be cast from the lasting bonds of friendship that we carry for each other and forged by the respect of those whose fields we triumph on. Those bonds will be our mutual security pact, stronger than any piece of paper we ever sign. Gorbachev: How much does this deal cost in dollars or rubles? 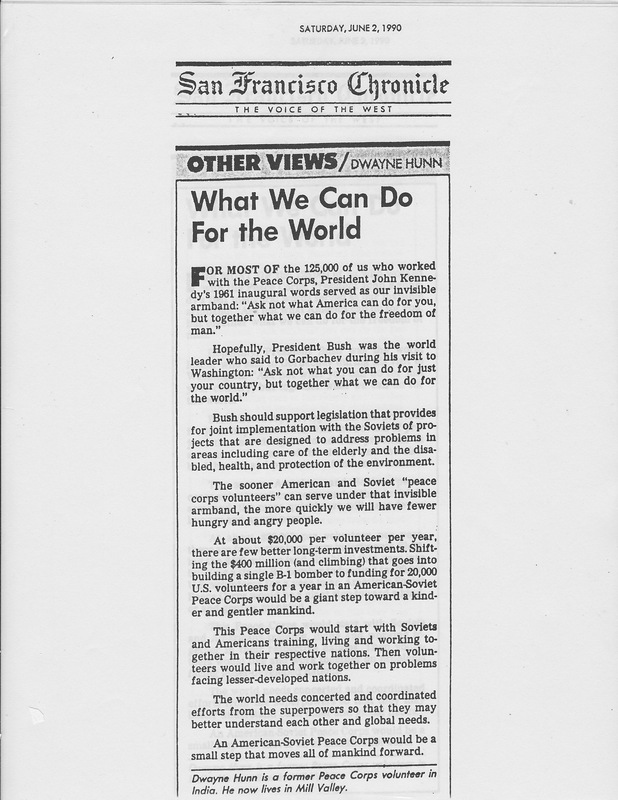 Reagan: Not much, considering how much it will save and how much world trade it will bring us. I could probably give you an esti­mate if you could tell me how much it is costing you per soldier in Afghanistan and merceneary in Af­rica. Reagan: Well, I understand how we big kids sometimes blunder in our foreign adventures, so let me estimate from some gross figures we once tabulated. From 1965 to 1974 we sent 2,582,304 of our finest young men and women, with a budget of $138.1 billion, to bring peace to Vietnam. That cost $53,480 per soldier. We lost many of our finest. Many who returned are mutilated and confused. We still pay a price for them. Gorbachev: Yes, you do misuse the word “peace,” don’t you? Reagan: Well, yes, don’t we both. So let me throw my deal on the table, knowing full well that in my hand I hold the most massive bunch of top guns and that I am willing and able to trump you should you refuse my simple offer. You had no soldiers to offset them. I propose that you deploy the same elite corps and within five years build the force to 100,000 per year. America will match that increase. You will not supply them with anything more than we supply ours — enough food, money and shelter to live like the people whom they fight alongside against hunger, illit­eracy and deprivation. You’ll also teach them a language and techni­cal skills and the initiative to think and work on their feet. Gorbachev: What do you call this army? 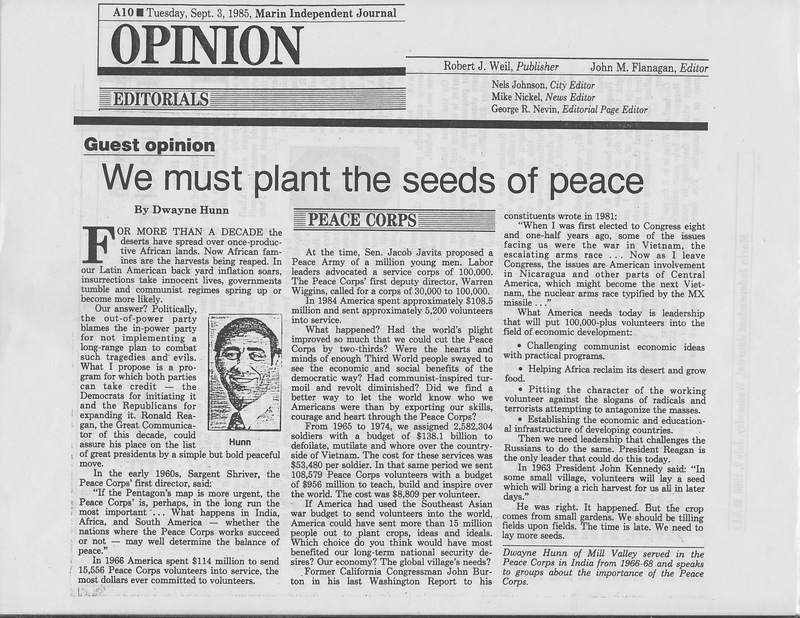 Reagan: We call it the Peace Corps. 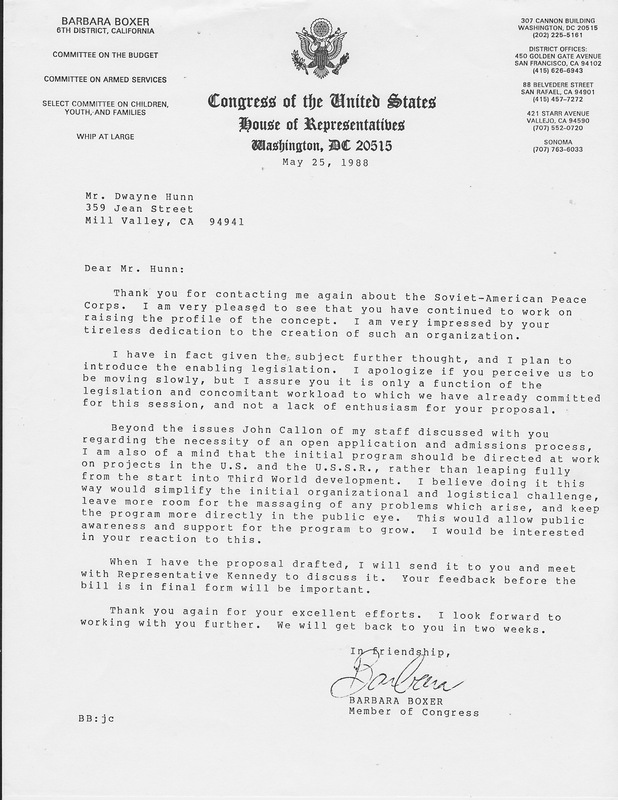 Gorbachev: What if I can’t get my government to agree to this dangerous and radical proposal? Novato’s World College West campus was ready to start model ASPC. World College West would become headquarters for a Model East-West Peace Corps if a pro­posal for use of part of the Buck Trust Major Project funds is approved. 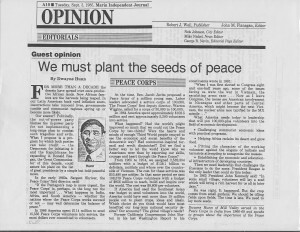 The idea, according to originator Dwayne Hunn, is to build something similar to the United States’ successful Peace Corps program that would include volunteer youths from both the United States and the Soviet Union. After training at World College West, young men and women from both countries would work together, in villages, slums, schools, recrea­tion centers and other places throughout the world. The program would begin with 25 young Russians and 25 young Americans learning side-by-side with the hope it would be emulated by other countries throughout the world until even­tually there would be an “invasion” of Peace Corps volunteers from all nations. –Building personal communication links that foster inter­national understanding. –Promoting economic develop­ment in lesser developed countries. –Aiding Mann County and the Bay Area, because volunteers would work on self-help projects in the area as part of the training pro­gram. –Sponsoring conferences, seminars and discussion groups in Marin to help further understan­ding between nations. –An introductory one-week training class to teach problem-solving, fear-facing, communica­tion, teamwork and trust. –Intensive course work in Rus­sian and English, the language of the planned host country, skill training for the work requested by the host country and culture of the host country. .
–Field training in a Bay Area program that would help those in need in the area. –A physical training program that would emphasize team sports. The Soviet and American youths would live together throughout the program.